We are finally seeing the SMSF sector being recognised as the retirement option of preference for engaged investors. Fees and costs are constantly being addressed but what trustees and members need is more confidence in running their funds and that comes through informative content and education. The industry and the regulator have stepped up a notch in terms of engagement and producing news and educational content for people who want to be active in controlling their future and open to learning more about managing their finances. The ATO released 22 short, educational, and entertaining videos, to help you navigate a wide range of events including retirement planning, investment decisions and running an SMSF. We will release more videos next year, covering new topics to help you run your SMSF smoothly and better understand your obligations. To help people search their website for relevant SMSF information they launched SMSF assist External Link . To use SMSF assist, type in a question or select a topic to get specific information in an instant. 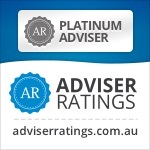 SMSF assist and other SMSF services have been added to the ATO app. News articles, practical case studies and Q&As are now published as they become available and can be accessed anytime through ‘News’ on the left-hand side menu of the SMSF home page. The ATO quarterly FREE subscription service ‘SMSF News’ has a fresh look and feel, and from 2015 will be issued on a bi-monthly basis. They will run webinars in 2015 covering different topics for trustees and professionals. The ATO began engaging with SMSF professionals through a live LinkedIn question and answer event hosted by Deputy Commissioner Alison Lendon. The event created dialogue with participants, and we answered SMSF-related questions during the forum. Building on the success of the LinkedIn forum, they embarked on a series of webinars aimed at SMSF professionals. The webinars highlighted current issues facing the industry and provided an opportunity for participants to ask questions. To help you better understand your role as a SMSF trustee the SMSF Association has launched a free online resource. 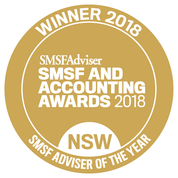 If want a source of constantly updated new on what is relevant to SMSFs then you can get subscribe free to The #SMSF News which picks up most relevant SMSF articles across the web daily. Also if you are on Twitter make sure to follow us as @SMSFCoach and subscribe to this blog up on the left hand column. The Australian Taxation Office (ATO) on the 17th November 2014 confirmed that new regulations which came into effect on 1 July 2014 do not permit new insurance products acquired on or after 1 July 2014 to be used as part of a cross-insurance arrangement. This was a common strategy used to protect SMSFs engaging in Limited Recourse Borrowing Arrangements from being forced to sell a property if a member of the fund died or became disabled. The ATO confirmed that these types of arrangements are not permitted under the new rules as “the insured benefit will not be consistent with a condition of release in respect of the member receiving the benefit”. Where a trustee acquired insurance products prior to 1 July 2014 to implement a cross-insurance strategy, the ATO’s announcement seems to imply that those arrangements will continue to be permitted as those policies would be grandfathered and therefore exempt from the new regulations. According to Colonial First State’s FirstTech team, where a trustee acquired a new policy to implement a cross-insurance strategy on or after 1 July 2014, the new rules will apply and the trustee will need to restructure their fund’s insurance arrangements in consequence of the ATO’s announcement. In this case, trustees may wish to contact the fund’s auditor or seek legal advice to confirm their options. Following on from my previous article How a SMSF can Purchase a Property with a Related Party – Using a 13.22c Trust , another strategy for those wishing to engage in property development with their SMSF involvement is for the fund trustee to invest in a unit trust that holds the development land / existing property by subscribing for units in the unit trust with partners so that no related entity group owns more than 50% of the units in the trust. Where the fund trustee invests in an unrelated trust the trustee for the unit trust is not required to comply with the requirements of regulation 13.22C of the SIS Regulations. This means that the trustee for the unit trust can borrow to fund the land development without the fund trustee breaching the in-house asset rules in s71 of the SIS Act. have the power to remove or appoint the trustee for the unit trust. So each SMSF or related group of investors can own exactly 50% in combination between them and still maintain an unrelated trust and meet the above requirements. Keep it simple as it is important that the units in the unit trust carry equal rights to income and capital so that you do not also trigger the non arm’s length income provisions under s295-550 of the Income Tax Assessment Act 1997 (1997 Act). The diagram below shows 2 unrelated Self Managed Superannuation Funds investing in a unit trust equally (50/50) to carry out a property development. One of the SMSFs uses as related party loan to fund their purchase of the units. Remember it is only the units that are offered as security not the property in the trust. Each SMSF contributes $350,000 and the property is developed for a total cost of $700,000 and sold for $1m. The$300,000 profit flow back through the Unit Trust to the unit holders equally. Where two unrelated SMSFs each hold 50% of the units in the unit trust, it is important that the trust management decisions are decided on a 50/50 basis. It should be very clear from documentation and minutes of the trust that decisions are made jointly. How to avoid distributions to the SMSF being treated as non-arm’s length income? the fund trustee receives an amount it would not otherwise have received if the parties were dealing on arm’s length terms. Similarly, income the SMSF derives as a beneficiary of the trust, other than because of a fixed entitlement to income, will be treated as non arm’s length income and taxed at 47%. Therefore, it is important to ensure that the unit trust is a fixed trust, meaning that the entitlement of unit holders to receive income and/or capital from the unit trust is fixed and indefeasible. However, even with a fixed trust it is necessary for the income to be no more than the income that would have been derived if the parties were dealing with each other at arms-length (s295-550(5)). Again to avoid falling foul of the legislation, the constitution of the trustee company of the unit trust should be designed to ensure that the SMSF trustee and/or its associates do not have the power to control the trustee by effectively having the power to appoint and remove the trustee for the unit trust by reason that they hold a majority of the shares in the trustee. One trap is a constitution that allows the chairperson to have a casting vote where the chairperson is a SMSF Trustee or representative of the SMSF trustee. unit holders’ agreement all ensuring none of the requirements breached..
Where a fund trustee invests in an unrelated unit trust the fund trustee may acquire the units held by the other party over time, subject to complying with the provisions of the SIS Act and keeping their related entity group to less than 50% of the overall trust units. Keep in mind that where the unit trust is land rich, there may be a corresponding stamp duty liability and there may be capital gains tax implications for the initial owner as well as valuation fees at each transaction date. In the zest for undertaking any strategy I always remind clients about the reason for undertaking any investment. Your aim should be to provide for a better retirement. If that is not the core purpose then you are breaching the sole purpose test and should reconsider the whole strategy. Also you must review or amend your fund’s investment strategy to ensure this investment falsl within it’s guidelines.. The information in this article is provided for illustrative purposes only and does not take into consideration your personal circumstances. You are encouraged to seek financial, tax and legal advice suitable to your circumstances to avoid a decision that is not appropriate. Any reference to your actual circumstances is coincidental. Magnitude, Verante and its representatives receive fees from the provision of financial advice. In my last article Why The Next Generation of Retirees Will Find it Harder Than Their Parents I pointed out the roadblocks facing Baby Boomers and Gen X. In this article I offer some tactics on how can you counter these headwinds? Get back in control of your finances now. The first step is to actually sit down (with your partner if you have one) and list out your assets and liabilities and work out what you are actually saving *or not) at present. Understand how you are financing your current lifestyle and then think about what sort of lifestyle you want in the future. If you are borrowing for todays lifestyle then you have little chance of funding the same standards in retirement. Get out of debt. One of the hardest things about debt is that it feels so overwhelming. The reality is you can’t ignore it and you know deep down that delaying the inevitable only piles on more trouble. Better just to take on your debt and get through it often starting with the high interest rated debt first. A great place to start is the Managing Debt section of the Money Smart government website. Look to transition to retirement rather than pulling the plug. See if you can extend your savings by working part-time or doing some contract work during the year. Every dollar you earn means a dollar saved from your retirement fund. More and more people are opting to cut back to 4 then 3 days before finally retiring rather than the traditional retirement strategy of working full-time until the day you retire. ask about using a combined Transition to retirement and Salary Sacrificing strategy to boost your retirement savings. Find a trusted financial adviser. A fee for service financial planner who is recommended to you by someone you know and trust can help you plan for retirement and make the most of your resources in ways you might not have anticipated. Often using the superannuation , tax and social security systems can add as much value as the return on the investments. you may look at consolidating your superannuation, moving investments in to a lower-income earner’s name, leveraging the equity in your home or investments or taking more control of your future using a Self Managed Super fund or a Member Directed Option in your industry or retail fund. Don’t dip in to your super.Just because you reach preservation age you should not be tempted to dip into your retirement savings. You can use strategies like Transition to Retirement pensions combined with Salary Sacrifice to actually receive the same take home income but in a more tax effective way and also better after tax returns on your savings. Think twice before indulging the kids.High property prices , unemployment and career breaks to start a family have made it hard for many in their 20s and 30s to get an independent head start, and many families are getting through tough times by living together. But too many parents are giving adult children financial support for house deposits, new cars, medical and school bills and worse still spending money. This is teaching them nothing about saving and parents need to teach life lessons not be their children’s best mate! This financial assistance without teaching about saving and budgeting may be undermining their children’s ability to ever become independent. It also may be dooming parents’ retirement. The kids have more time than you do to make up financial losses. Get your own retirement funding in order before splashing out on the children. Set rules, limits and targets for them and make a loving, firm plan teaching them how to budget and reduce the siphoning from the bank of Mum and Dad while giving wholehearted support in non-financial ways. Save more and save smarter. Follow the basic rules for retirement savings, including minimising taxes, working longer, investing regularly and keeping on top of your investments. Boost savings by every cent you can and pre-tax if possible Keep increasing your salary sacrifice contributions to meet your retirement goal. Don’t have a goal? Use the Money Smart retirement planner calculators to decide how much you’ll need and what to save to get there. Don’t touch the equity in your home unless it is adding income. If your retirement is looking shaky, don’t even consider using home equity for non-essentials like renovations or as new car. Use the equity to build wealth rather than destroying it. Talk to a financial planner for strategies and then your accountant to confirm tax consequences when using the equity in your home to work for your retirement. Educate yourself on the pros and cons of any investment so you are comfortable with the strategies as that provides the Sleep factor!. Plan for the unforeseen and protect your greatest asset.Plan for the unexpected and don’t wait until you’re in trouble to take action. Insurances are an essential part of any long-term plan and your earning capacity is your biggest asset so protect it. See the warning lights. If you’re struggling with mortgage repayments and debt now, even if you want badly to stay in your home, start right away to figure out a fall back plan if you cannot. Pride can prevent you from taking needed action when you’re in trouble. Don’t spend retirement savings or home equity trying to repay unmanageable debt. what about number 10? Well that’s up to you , let me know what are you doing to rescue your retirement? Just comment blow, you never know who or how many people your idea may help. Regardless how old you are now, it’s likely you will have a tougher time managing a financially secure retirement than your parents. There is an old saying that “the best time to plant a tree was 20 years ago, the second best time is now!” . Living an extra 7 years without working takes a lot more savings and better budgeting. Remember these are averages so If there is a history of longevity in your family your retirement savings may need to stretch 30 years or more. 2. Older workers lost out in the GFC. While Australia escaped most of the hurt in the GFC, many companies cut back staff and let go older employees who have failed to find new work opportunities and therefore the earning power from men and women in their late 50s and 60s has been stifled. 3. Age Pensions are coming under pressure. The increase of the pension access age and the change to the indexing of pensions by CPI rather than average wages as well as the reduction in asset test of thresholds mean that access to the part-pension will be tougher in future years meaning using up more of your own capital earlier. 5. People are carrying more debt in to retirement. The standard Aussie family always tried to enter retirement without a mortgage on their home. That’s harder to achieve today. It is common now to see older Australian’s dipping into their superannuation to pay off the mortgage on retirement and more are finding they are increasingly accessing credit card debt and personal loans to fund one-off purchases. 6.We’re working longer. Australians’ average age at retirement is creeping up. The ABS advise that the average retirement age for those who retired within the past five years was 63 for men and 59 for women.[iii]. The upward trend in retirement ages is confirmed in the figures measuring the expectations of those aged 45 and older – around two-thirds intend to retire at or over 65 years of age, with 17 per cent expecting to work until they are 70 or older. A quarter of workers expect to finish work between 60 and 64 years of age, while only 9 per cent expect to retire before they are 60. But poor health, job loss and the need to care for older parents, grandchildren and ill spouses can cut that short. 7. Rise in Grey Divorce means more retirees are single. Divorce is rising among older Australians, and women tend to outlive their husbands. More than half of retired women in Australia are living in households where the annual income is less than $30,000 with divorced and widowed women among the worst off, according to 2011 research – conducted by the Australian Institute of Superannuation Trustees (AIST). It costs more for a single person to support a household than to share overhead. Have I shattered your dream or jolted you back to reality? there is no use in pointing our the problems without offering some solutions so check out this post where I outline 10 tips for salvaging that retirement dream. I try to stress with clients that they will be far more successful in reaching their goals if they take a balanced approach to living , saving and building wealth as they move through life. Here is a great story that helps put that advice into perspective. A professor stood before his philosophy class and when the class began, he wordlessly picked up a very large and empty mayonnaise jar and proceeded to fill it with golf balls. 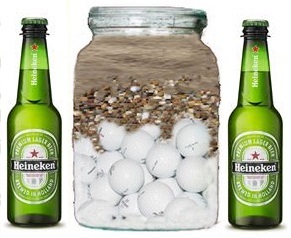 The golf balls are the important things–your family, your children, your health, your friends and your favorite passions–and if everything else was lost and only they remained, your life would still be full. The pebbles are the other things that matter like your job, your house and your savings. So pay attention to the things that are critical to your happiness. There will always be time to clean the house and do the filing. On 18 July 2014, the ATO released ATO Interpretive Decision 2014/22 which confirmed their view that a child who cared for an elderly parent was a dependant and in an inter-dependant relationship. The writer suggests that it is a sign of the times. 10 years ago, people were keen to show that grandparents’ support for their children by paying school fees meant that the grandchildren were financially dependant with the result that superannuation could be paid to them tax free. 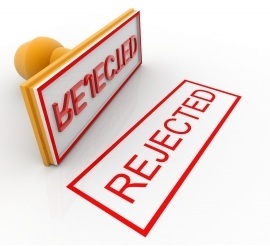 The ATO have issued rulings to discourage attempts to contrive dependency. Private Binding Ruling 67744 dealt with a situation where the parent died. The Commissioner found that all of the requirements of inter-dependency were met. Previously, it was made clear that support and care must be significant and a link to being unwell or suffering emotionally. This was to be beyond the support one would hope to get from a friend or flatmate who prepares an occasional meal. The AAT in Malek’s case considered whether the support was necessary. In the later Private Binding Ruling 91657, the above authorities were considered and the net question was whether the person would be able to meet their daily basic necessities (shelter, food, clothing etc) without the additional financial support. Where a parent needs support, most people would consider it part of the usual familial relationship to support them. However, the facts need to demonstrate that what might be termed a normal familial relationship has changed so that there is a demonstrable mutual commitment to a shared life. It seems that moving in with a parent and supporting them with a commitment to continue to look after them for the rest of their life is sufficient to establish interdependency. The writer suggests that this relationship can helpfully be confirmed in writing by the parent in the course of their estate planning. Donal Griffin is a Director of Legacy Law Pty Limited and can be contacted at 02 918803980 or at dgriffin@legacylaw.com.au.